After this week, I'll be taking a little vacation. Hopefully, when I get back, Revelations will be up on Amazon and ready for readers. This week I've concentrated on putting together the extra pages for Revelation's release. The Behind the Scenes and Books pages are starting to shape up. I also signed up for my first promotional event: a blog tour with Xpresso Tours. There's still a lot of work to do and some of it is proving challenging to my poor tech-challenged brain. But I will persevere. What I lack in talent, I make up for in stubbornness. Revelations is now in for its final edit and once it's ready, then the only thing stopping me from putting it on Amazon is arranging the paperwork. I opened my Kindle account this week, as well as my Createspace account and applied for an ISBN. 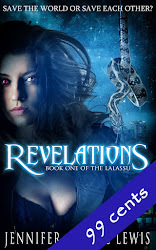 I'm contacting book reviewers to see if they'd be interested in reviewing Revelations. It's been a bit of a difficult week, starting with a difficult weekend. We discovered the car will be over $ 1500 to repair for what looked like really minimal damage. Unfortunately, that eats away at some of my cushion for promotion and other activities. My day job went a little crazy and I ended up having to do most of my work in the evenings. But I still got it done. Up until yesterday I was feeling pretty good about my week. I'd finished my changes for my line edit but decided to give myself one more go through before sending it in on Monday. I'd written 2000 new words. I registered for an ISBN and got my Kindle Direct Publishing account going for Amazon. I was feeling pretty awesome. First downturn, annoying but not too bad: our dishwasher needed to be replaced. It's been acting up for awhile, overflowing and refusing to drain properly. We decided to go ahead and get a new one. Second downturn, frightening but could have been worse: car accident. I got rear ended with my son in the backseat on Saturday. He was terrified (as was I). We had been on our way to the movies but he was so upset I ended up taking him home instead. Luckily, only minor damage to the car. I'll find out more on Monday when I take the car to the garage. Third downturn, frustrating and my own darn fault. I check my email on Sunday morning and realize there are two notes from my editor reminding me that I was supposed to send in my manuscript on Friday, not Monday. I am hugely upset at myself because I saw that in the original terms but didn't write it down on the calendar and so didn't remember. I know better than to do that and I did it anyway. This is entirely my fault. Even more frustrating, the darn thing was ready! I had it good to go. I sent it in as soon as I saw. But I know there's a good chance that I will have missed my spot and will have to pay for it anyway. One more thing to be on edge about. My stomach is churning with wondering how badly I've screwed things up. I'm trying to repeat my usual mantra that everyone makes mistakes and so I should accept, learn and move on. But I don't think it'll be effective until I know just what the impact of this weekend will be. Search and destroy for overused words is done. Chapter evening is done. Just one more read-through and then I can send it in for the line edit. I've decided the part of the editing process which I dislike the most is replacing overused words, particularly when my brain insists on choosing another two or three overused words as replacements. I think I've found a good balance but words can start to lose all meaning when they're constantly flashing in front of your face. I finished the search and destroy on Wednesday and spent the rest of the week polishing my ghost hunter short story. I desperately need a good title for it. I am awful at coming up with titles. 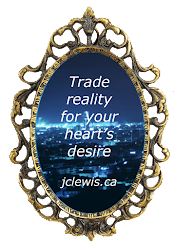 Either they come to me in a brilliant burst of intuition or I stick something together and work with it, all the while grumbling that there has to be something better out there if I could only think it up. I'm looking forward to getting back to writing again instead of editing. I like creating new stories and I miss it. Granted, I have a chunk of rewriting to do on the Revelations sequel (another book in dire need of a good title), but I'll still get to push further into the lalassu universe. Which will make me happy.